I have a very important question for y'all. When is it acceptable to start wearing white jeans? I used to follow the rule not until after Memorial Day but that was only because in high school I had school uniforms so it wasn't too tricky to do that. Then I moved to wearing white jeans after Easter which may still be a bit traditional. At this point, I'm tired of dark colors and am so ready to start wearing brighter clothes including white jeans. Last summer I wore white jeans non-stop. I alternated between the two pairs I have and one of those pairs has seen better days. 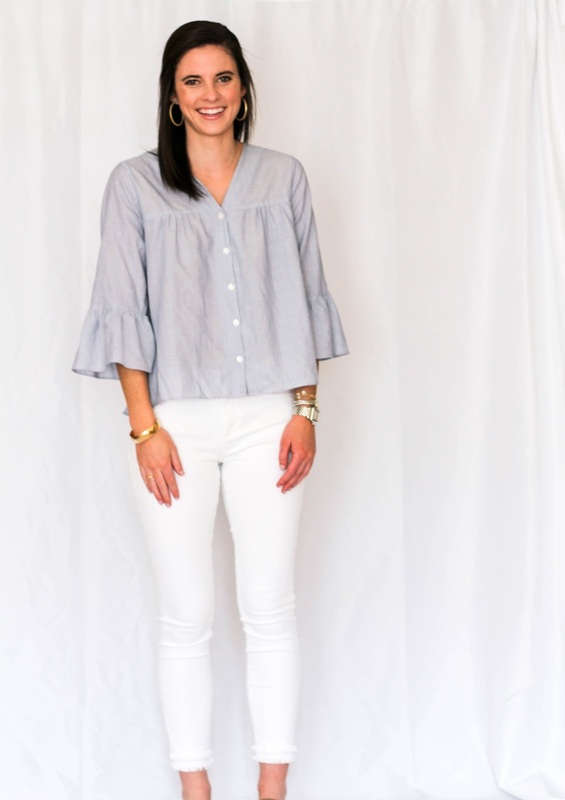 When I discovered this pair of white jeans from Loft I was instantly sold. This year I've seen a number of great jeans with unique hems but this pair takes the cake. The double unfinished hem and cropped style make them way more fun than my other pair of regular white skinny jeans. 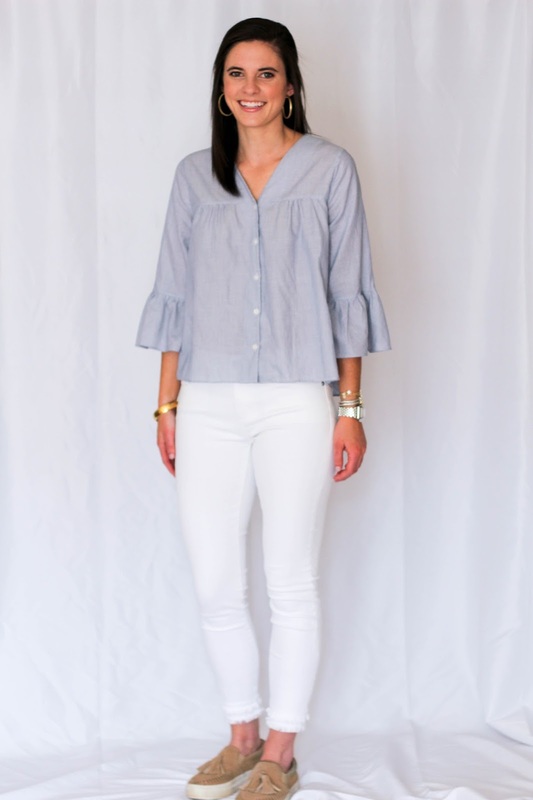 The best part about white jeans is how easy it is to put together an outfit with them. 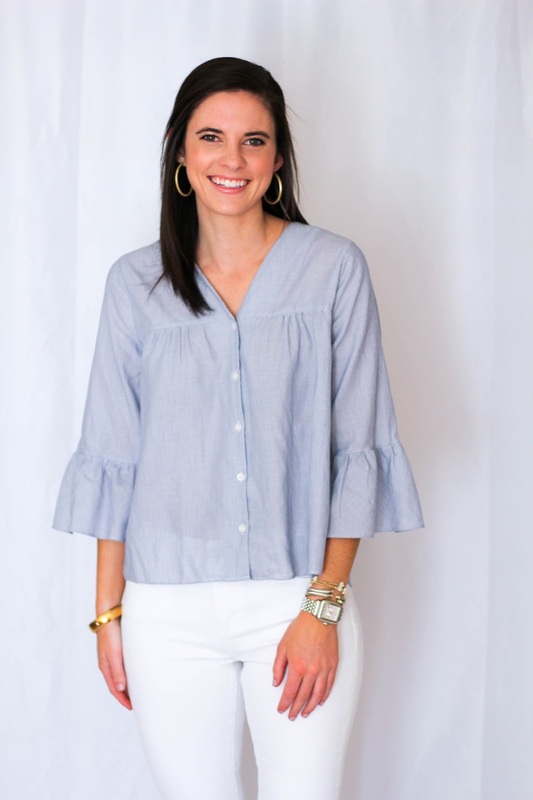 This Madewell top is also a recent favorite. Y'all know I love blue and white so being drawn to the color was no surprise. 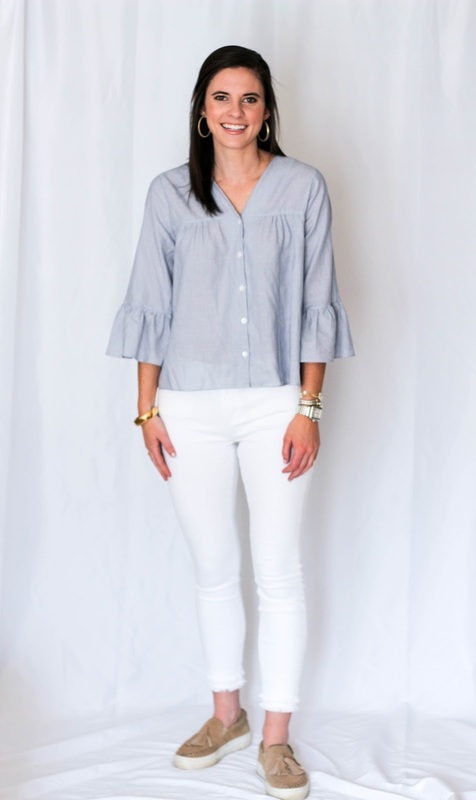 The flowy sleeves and button detail were too cute to pass up. The shirt is a little bit shorter than what I usually reach for but I discovered that I didn't really mind that. While I wait for the weather to warm up a bit, my tan tassel slides are easy to slip on, comfortable, and seasonally appropriate. I want to know when y'all think it is appropriate to break out the white jeans for good! Those jeans are so cute! Now that it's spring its totally appropriate to break out the white jeans! I just bought these jeans today! Im ready to start wearing them now! !